Rajinikanth, the biggest star Indian cinema has ever seen, turns 63 today. In his long and illustrious acting career spanning several decades and hundreds of movie titles, not only his superstardom has touched unprecedented heights but his larger-than-life screen persona is still routinely eulogised in the internet age by way of Chuck Norris-style jokes and memes. Everything this demigod does is legendary, even some of his rather curious onscreen avatars. 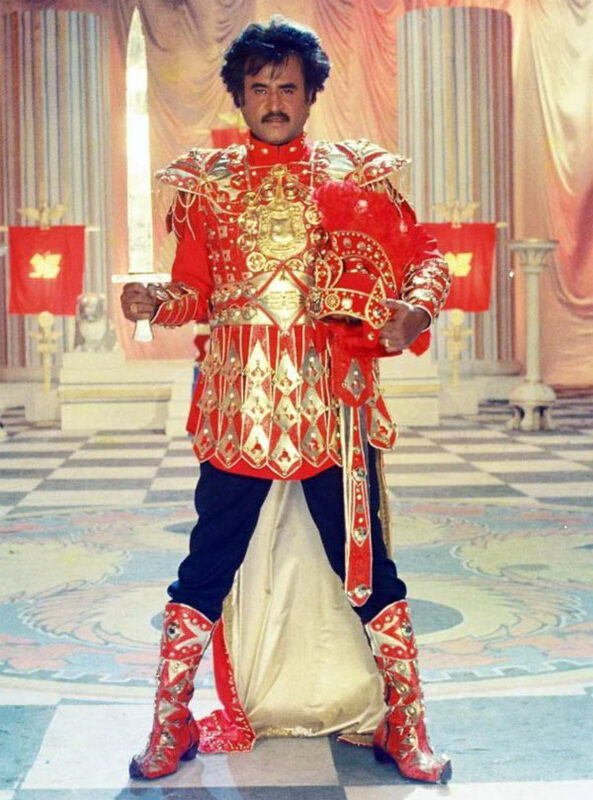 Here then, a look at the MOST EPIC outfits Rajinikanth -- also addressed as Thalaiva by his Tamil fans -- has donned onscreen. Rajini's 1995 blockbuster Baasha, fashioned after Amitabh Bachchan starrer Hindi film Hum, saw the star actor don this absolutely outstanding outfit in one of the scenes. Cannot think of another actor who could stand like that in that outfit without looking stupid. The eagerly awaited (and much delayed) Kochadaiyaan will see the actor don the Indian warrior avatar AND six-pack abs. Lesser actors usually have to sweat it out in the gym for them rock-hard pecks. Defying all logic and better sense, Thalaiva played Chitti -- a robot that turns destructive after being spurned by his creator's girlfriend. No scenario, no plot line is too preposterous for this legend. 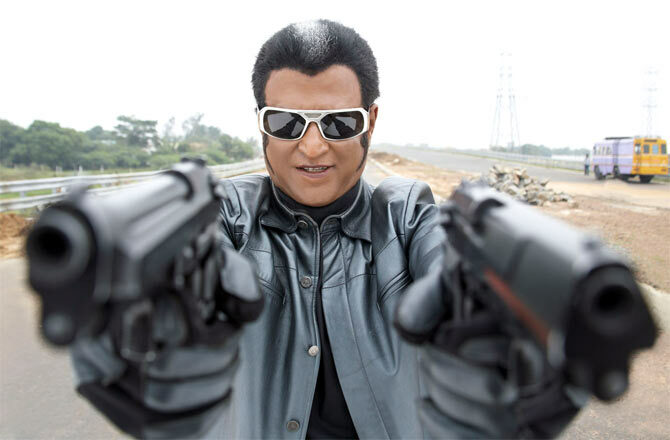 The arrogant crusader in Shankar's 2007 hit Sivaji comes back from the dead with a new resolve to exact revenge from his enemies and an intimidating new look. The bald head, leather outfit lend a very rare kind of fierceness to the hero. P Vasu Kuselan saw Rajini in a medieval look and what's more! As the overbearing patriarch in Hindi film Bulandi, the star was seen in one of those rare avatars that was slightly closer to his real life persona. But that aggressive stance was unmistakably meant for the silver screen! The actor strikes a more goofy pose with Paayam Puli costar Silk Smitha in the film. In the story of life's purpose, atheism and ultimate enlightenment, Thalaiva strikes as quite the hedonist in this strikingly rare still from his 2002 film Baba. Rajini, besides playing the titular character, also wrote the film. This one is special because it had the legendary actor play three characters. This one of the lot is arguably the most amusing one yet. 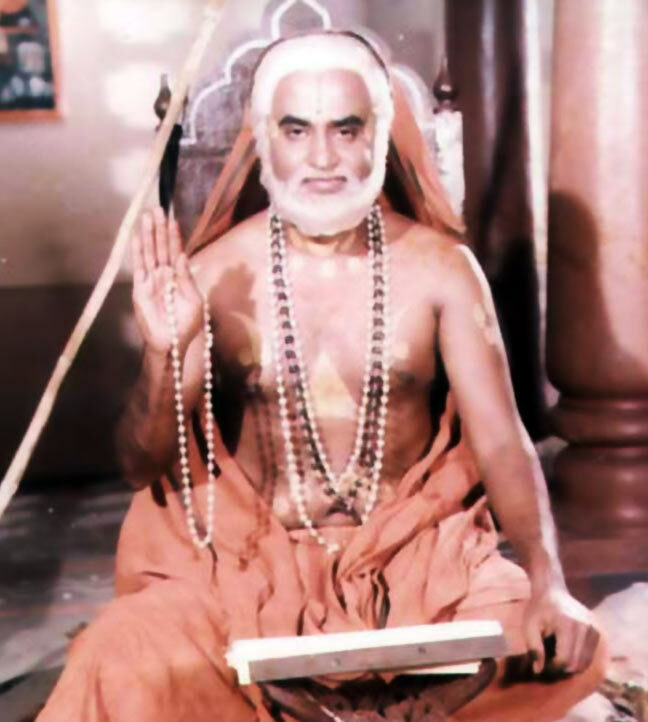 The star is nearly unrecognisable in the garb of the Swami in Sri Raghvendra, which also happened to be his 100th film. 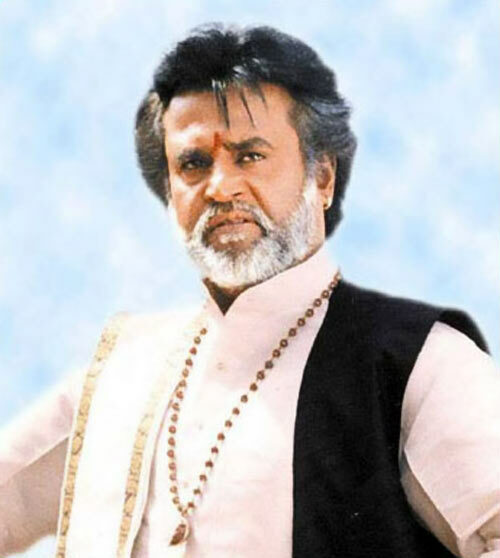 Quiz: How well do you know Superstar Rajnikanth?